Hot water and lemon? That’s so last year. 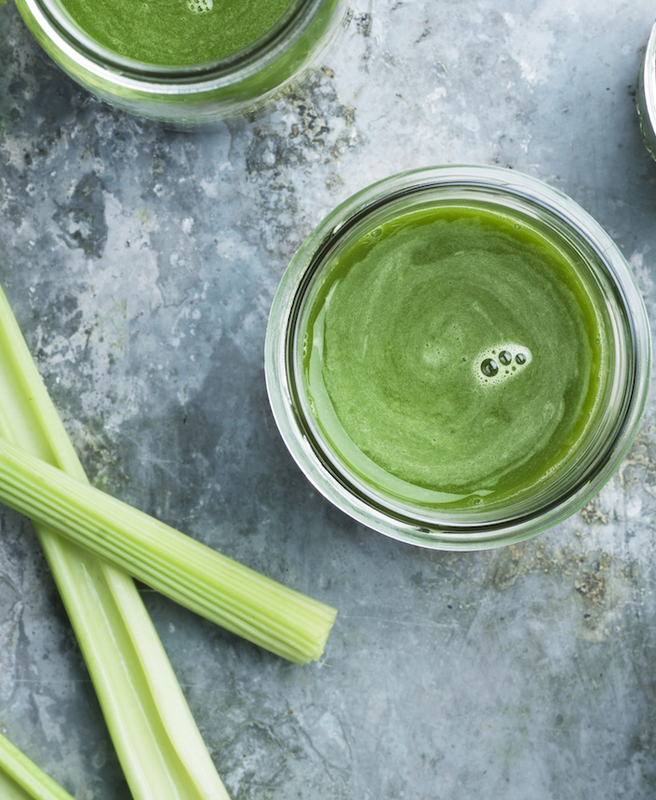 Drinking celery juice on an empty stomach first thing in the morning has become the thing to do, fueled by Instagram accounts like the Medical Medium Instagram account, which has nearly a million followers. Instagram’s healtherati — think Healthy With Nedi and Melissa Wood-Tepperberg — have been touting the benefits of the green elixir on the regular. But does it live up to the hype? Yes and no. Celery contains bioactive flavonoids that help fight and prevent cancer cells and compounds called coumarins, which enhance white blood cells thereby increasing immunity, says Ostrower. Lastly, according to Dr. Charles Passler, nutrition and lifestyle guru to supermodels like Bella Hadid and Adriana Lima, celery normalizes the production of digestive juices and enzymes so you bloat less and it tends to reduce water weight (retention) because it’s a natural diuretic. But do you really need to juice it? If you follow the Instagram hype, you know that the running recommendation is to drink celery juice first thing in the morning on an empty stomach and to not mix it with anything else as that would interfere with the absorption of critical compounds. Ostrower explains that the thinking behind this is that while green/mixed juices provide an abundance of nutrients, they function differently than pure celery. When people add other produce to celery juice it’s usually to sweeten the flavor, Passler notes. “This increases your fructose intake and increases your risk of dehydration and makes you put on pounds instead of taking them off.” In his clinical experience with patients, celery juice is best utilized by the body and its digestive benefits are heightened when consumed on its own first thing in the morning. In fact, blending may be more beneficial than juicing because it keeps the antioxidants intact and also preserves the fiber of the plant. “Fiber helps to slow digestion, which keeps you fuller longer and actually gives your body more time to absorb nutrients,” says Zuckerbrot. Keeping the fiber can also help you maintain a health gut. “Fiber is also a natural detoxifier and acts as ‘food’ for gut bacteria, so decreasing fiber intake with juicing can actually starve gut bacteria and increase total body inflammation,” she adds. Curious to try it out for yourself? One note of caution … celery juice isn’t for everyone! “While a high level of water in celery is good news for people who want to flush toxins, this can put additional strain on the kidneys, which can be dangerous if you already have a preexisting kidney condition,” says Ostrower. She also notes that unlike many vegetables, celery has a high allergenic potential for certain people and the reaction can be quite severe. If these issues are of concern, she recommends a mixed green juice, which will provide the body with vitamins and minerals, but with a lower concentration of celery.